Changing a glow plug in a Powerstroke is not difficult if you have working knowledge of how your engine actually works. The next few steps will help you change the plug and get you back on the road. 1. Disengage the plug wire from one cylinder. Carefully pull it away and move it to the side. 2. Insert the socket wrench into the cylinder until you can feel it connect with the glow plug. Carefully engage the plug and remove it from the cylinder. You must move the socket counterclockwise to remove the plug. se look at the area and make sure there is no debris that can fall into the cylinder. Place the fresh one into the socket and carefully lower it into the engine cylinder. 4. Once you feel the new glow plug connect and it is in its proper place, you can begin to tighten it down. This time, the socket is turned clockwise. Slowly tighten the plug until it is secured. 5. Replace the plug wire into cylinder and make sure it is firmly attached. 6. Replace any other parts of the engine you removed and secure them and close the hood of the vehicle. After completing the above steps and everything is back in its rightful place, Turn the key and allow the new plug to warm up. Once the indicator light turns off, you can start your vehicle and be on your way. Replacing an IPR valve on a Powerstroke engine takes a little time and effort. If you know what you’re doing, a few little tricks can save you time and alot of clean up. 1. Remove the oil plug from the high pressure reservoir and remove as much of the oil as possible. A turkey baster with a small hose attached to it works well. 2. The next step is to drain the fuel filter bowl. 3. Remove the intake “Y” and block open ports to prevent debris from falling into them. All wires and hoses must be loosened or removed that connect to the fuel filter housing and the IPR valve. 4. Take out the two bolts and lift the fuel filter housing away from the engine and up out of the valley. 5. Remove the nut holding the IPR solenoid in place. Take of the solenoid. Use a socket to remove the IPR valve. Go slow and take care not to knock debris back into the opening. 6. Coat the IPR o-rings with engine oil and replace them. Replace the solenoid and reattach any wiring. 7. Clean the valley with carburator cleaner, clearing away debris and used oil. 8. Replace all wires and hoses and reassemble the motor. 9. Using a small funnel, add approximately one quart of oil to the reservoir and reattach the plug. 10. Start the engine and allow it to run for awhile. It will take a few minutes for the idle to stabilize. It should begin to run smoothly after about 5 minutes. Fuel injector replacements can solve a slew of problems with ignition and vehicle acceleration. The job is DIY-able. However, it is not as simple as changing a spark plug. The reasons for changing fuel injectors can range from wanting to address performance issues and desiring to switch fuel type intake. The fuel injectors dictate the type and grade of the fuel the passes through the engine. Some injectors are even adaptable to different types of fuel. Below is a how-to snap shot on how to change fuel injectors step by step. You’re working with highly flammable and potentially explosive fuel. That should say enough. But, just to be safe, wear eye protection, release the pressure in the injection system and watch for remnants of fuel that may fly out of the lines as you disconnect them. Exact procedures on releasing your fuel injection system should be in your vehicle’s manual. Disconnect the fuel line at the end of the fuel injector rail. Remove the injector rail. Pull the rail away from the fuel injectors. many times the rail will be lodged onto the injectors. Once you’ve removed any bolts, pulling the rail will dislodge with a little muscle. Note: not all vehicles have a rail. Skip this step if your vehicle doesn’t have a rail. Remove any wiring connected to the injectors with a flat head screw driver. Do not discard the wiring spring. Use a fuel injector puller to properly dislodge your injectors; (ask your local auto parts dealer for the specific type for your vehicle). Note: do not let anything fall into the engine holes exposed by removing the injectors. A wedding ring inside of the inner engine can be worse than a nightmare. Simply reverse the process of removal and put in your new injectors. Good job! Use your phone to take picture of your engine before you start. Think safety first. And, do not let anything fall into the inner engine. Have a great time changing your injectors. “More efficient” is the operative phrase when thinking “development” in the car industry. Not surprisingly, Ford motor company is leading the pack in developing lines of high-end gas-efficient engines. Assumedly, research and execution on these innovations is on the rise in answer to an unstable oil market. As crude oil prices have seen a number of volatile sessions, consumers of fuel have felt the pinch. 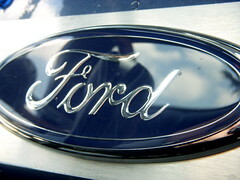 Because of the race for sustainable and affordable energy, Ford has stepped up manufacturing of gas efficient motors. The most ironic element of this push from Ford is that Ford is perhaps the chief manufacturer of diesel engines in America. This shift in the auto maker’s activity indicates a trend that could slow diesel manufacturing. Recently, there have arisen a number of movements giving credence for exclusively manufacturing diesel engines. The idea behind this push is that diesel engines are more versatile, can process a number of different fuel types and are noted for superior economical properties. However, these new developments are helping the gas-engine industry close the gap in fuel efficiency between the two. Although gas engines depend on crude oil, the amount of oil consumption is reduced when engines become more efficient. According to experts, the pull power of gas engines is improving to be comparable to that of diesel engines. These factors have, perhaps, encouraged Ford into recent moves in developing fuel-efficient gasoline engines. The chief factor in these moves by Ford is most likely pressure from the federal government in regard to fuel efficiency standards. Another factor is the cost of hybridization compared to the cost of converting to diesel. The difference in added costs can exceed $3,500. Purchase of diesel engines have been on the rise, in spite of the gains for gasoline engines. Part of the influence in that change is the dramatic results in fuel economy of European diesel engines. There are a few auto makers boasting 78 miles per gallon with cars running on diesel fuel. Ford and GM have a market share in Europe for selling diesel engines. They are quite profitable in doing so. But, both auto makers are claiming growing popularity in fuel efficient gasoline engines. And, all experts agree that diesel engines are too expensive to stem the growth of popularity in fuel-efficient gasoline engines.Thus, the biggest problem is that production of diesel engines is hopelessly uneconomical. In the late nineteenth century, the standard engine was steam-powered, dangerous, and inefficient. Unsatisfied with them, an engineer named Rudolf Diesel set about developing a better engine. His innovative approach was to compress the air in the combustion chamber so much that its temperature rose dramatically, and then inject fuel into the chamber. The high temperature of the compressed air caused the fuel to ignite without the need for a spark plug. 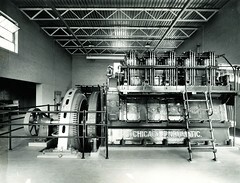 Originally fueled by biodiesel, his first models were so large that they could only be used for industrial applications. By 1910, ocean-going ships and submarines were routinely outfitted with high efficiency diesel engines. It took a number of improvements to the combustion chamber and the injection system before the engines could be significantly reduced in size. Once these improvements were made there were an explosion of new diesel vehicles. 1922 saw the first diesel powered tractor. In 1923, the first diesel trucks were produced in Berlin. It wasn’t until 1929, though, that an inventor named Clessie Cummins created a diesel powered auto, a Packard. However, as he did not display the car until 1938 credit is sometimes given to Mercedes Benz’s Type 260D, built in 1936. The stock market crash of 1929 reduced interest in the new engine, however, as consumers everywhere were forced to tighten their belts. In order to stimulate interest, Cummins used diesel cars to set speed and fuel efficiency records. The 1940s and 50s saw the development of air cooling and the turbo diesel engine. However, it was not until the energy crisis of the 1970s that the public truly embraced the fuel-efficient diesel. Today, with skyrocketing fuel prices once again dominating the economy, diesels might become even more important for their ability to burn cheap, sustainable biodiesel fuel. An EGR cooler is exclusively on diesel engines due to the extremely high cylinder head temperatures associated with high compression. It sole purpose is to prevent nitrogen oxide emissions into the atmosphere. nite the fuel as compressing diesel fuel creates heat sufficient for ignition. Just like automotive gas engines, this high cylinder head temperatures form nitrogen oxides or “NOS.” This is a primary cause for the “green house effect” in our atmosphere. A diesel has higher cylinder head temperatures than a gas engine so introducing exhaust gas directly into the cylinders would only raise the temperature even further. For this reason the exhaust gases must be cooled before being introduced into the engine. The EGR cooler has been a sore subject on diesel engines, especially the Ford 6.0 liter for some time. EGR cooler failure is a major cause for catastrophic engine failure. Exhaust gas travels from the passenger side exhaust manifold through a metal pipe to the EGR valve under the intake manifold. When the engine rpm increases above idle, the computer opens the EGR allowing exhaust gas to flow from the EGR through a pipe that runs along the underside of the passenger-side intake manifold and into the manifold. The EGR cooler is the long pipe from the EGR valve that is fitted with a radiator core on the inside of the pipe. Engine coolant passes through this small core and cools the exhaust gas passing over and around it. Herein lies the problem, and the solution. The factory EGR cooler has very small and easily clogged cores. The engine coolant first passes through the engine oil cooler located at the rear top of the engine. From the oil cooler the coolant passes through the EGR cooler and then back into the radiator. The EGR cooler plugs up with casting sand left from the engine casting along with particulates in the cooling system. When this happens the engine coolant flow is reduced and the engine begins to overheat. Now the exhaust gas accelerates the heating of the now immobile coolant in the cooler and causes the oil temperature to rise. This causes the engine to blow a headgasket or possibly ingest enough non-compressible coolant in a cylinder to break a connecting rod. The correction is to install an aftermarket bullet proof EGR cooler that uses aluminum tubes as opposed to radiator cores. It will not plug and is much more efficient at cooling the exhaust gas.